FAIRFIELD — Deputy Police Chief Chris Lyddy will take on the job of acting chief effective Oct. 27. 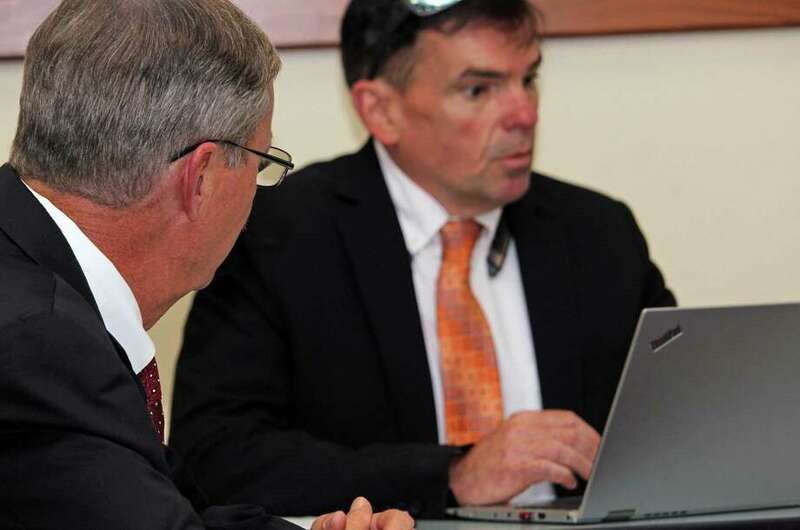 The Police Commission voted unanimously Wednesday to appoint Lyddy as acting chief, although the panel has yet to hold a public discussion on the process that will be used to name a permanent replacement for Chief Gary MacNamara. MacNamara’s last day, after a little more than 30 years on the job, will be Oct. 26. He is taking a job at Sacred Heart University as executive director of public safety and governmental affairs. At Wednesday’s meeting, a motion was made to go into private session to “discuss promotions.’ When informed that the general process could not be discussed in closed session, Chairman Susan Barrett suggested they table the subject to a date certain. Barrett suggested the commission hold a special meeting on Oct. 24. “My only concern is whoever is coming in as acting chief probably needs to be brought up to speed,” Millington said. “I think there needs to be a little more time,” Millington added that he felt it was a pretty easy decision as to who to appoint as the acting chief, seeing as how Lyddy was already in place as deputy chief. He said Lyddy has filled in as acting chief before. Commissioner Norma Peterson made the motion to name Lyddy the acting chief. Millington said once Lyddy takes over as acting chief, Capt. Don Smith would be the second in command, but that there is no need to name an acting deputy chief. The town’s charter states that a police chief is appointed by the commission, with the approval of the first selectman, from the three highest scoring candidates who have passed a competitive exam for police chief. At this point, no exam has been scheduled. The commission could choose to keep its search in-house or make a nationwide search for a chief. There is a promotional exam for captain slated for Oct. 30, according to Lyddy.